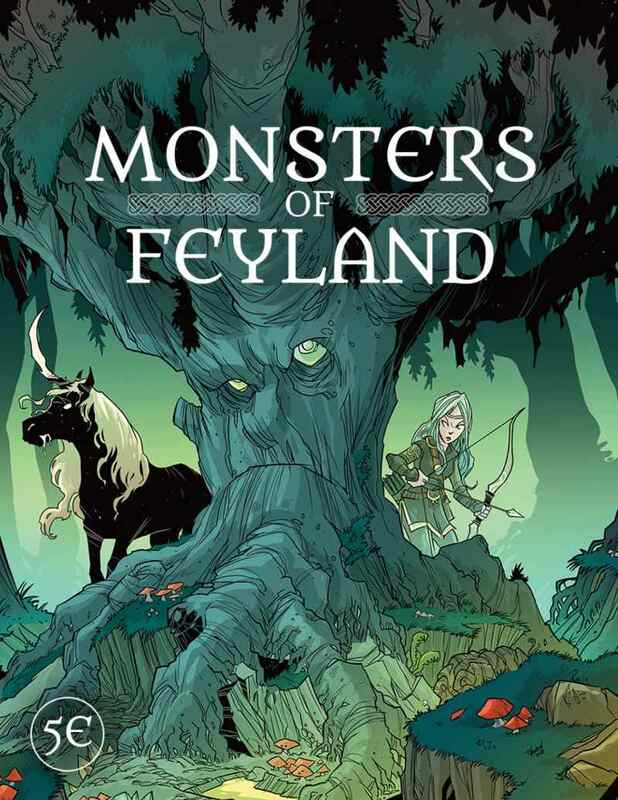 Monsters of Feyland is a new book of, well, monsters, themed for the Feylands from Cawood Publishing. It was launched as a Kickstarter last year but is also now available in PDF and print (softcover or hardback) from DriveThruRPG. Cawood Publishing presents Monsters of Feyland for 5th Edition! 100 new monsters and more lore about the land of the fey. Featuring the incredible art of Travis Hanson. I received the PDF last week and the print (hardback) version arrived yesterday and I have to say, I really like it. The book starts with a brief overview of the Feyland, including the Seelie and Unseelie Courts. This impressed one of my group who is of Irish heritage so that gives it plus points from me there. My own knowledge of the Seelie and Unseelie Courts is pretty poor to be honest. Following this we get to the actual monsters. A major plus point here is that each monster has it’s own page. It means that there is no page flipping when you need refer to them and, if you’ve only got access to the PDF, you can print off individual pages as required for each session. Throughout the book, interspersed with the monsters, are various entries of “Flora of Feyland”. I love these and can’t wait to use them in any of my future games never mind games set in the Feyland. As for the monsters themselves, you are provided with those that, I at least, would expect in the Feyland (brownie, elves, faeries, nymph, etc.) as well as those that rule the Seelie and Unseelie Courts (King Oberon, Queen Titania and The Queen of Darkness) and their underlings. My personal favourites are the Doubt Trout (who drain your confidence), the fey caterpillar (who smokes a pipe), the hatter (with his array of hats) and the headless horseman (who has to appear in my next Halloween adventure). There is a nice spread of challenge ratings and I didn’t see anything obviously unbalanced. That said, I do think that some of the more powerful fey (such as the rulers of the Seelie and Unseelie Courts) could have done with some Legendary Actions. This is a minor thing though and easily corrected if required. The art within is also of a high standard and, thanks to all being completed by the same artist, provide a uniform look. 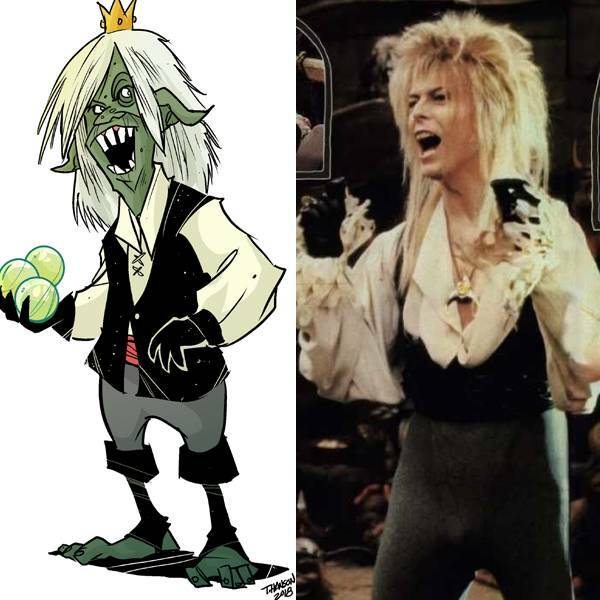 I especially love the Frog Witch (especially the full page art at the back of the book), the Goblin King (rocking a nice homage to David Bowie in Labyrinth), the Wererabbit, and the Sprite Knight (who looks likes she’s so annoyed about being on guard duty). Overall, I really like this addition to my 5e collection and can’t wait to use it at the gaming table. Disclosure of Material Connection: Some of the links in the post above are “affiliate links” so if you make a purchase, I will receive some affiliate credit.